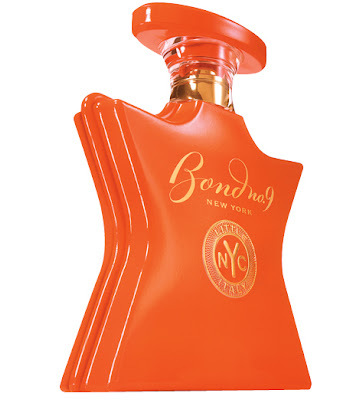 Men's fragrance is exactly like men's clothing in one important regard: compared to the women's version, it's generally a lot more boring, with fewer acceptable materials to choose from and a lot less leeway in style. In the hands of a great talent, this provides a welcome challenge: how to use that restricted palette to make something interesting? And they rise to the challenge, creating a superlative scent like Yohji Homme or L'Instant de Guerlain Pour Homme or Lempicka Au Masculin. 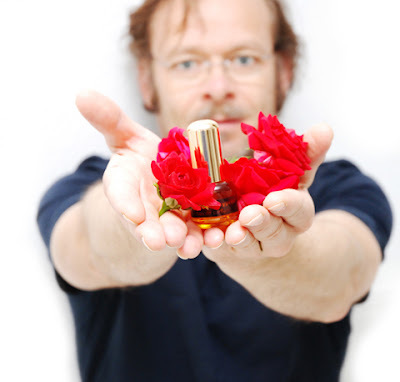 In the hands of most designers, though, be they of clothing or fragrance, it leads to more of the same. 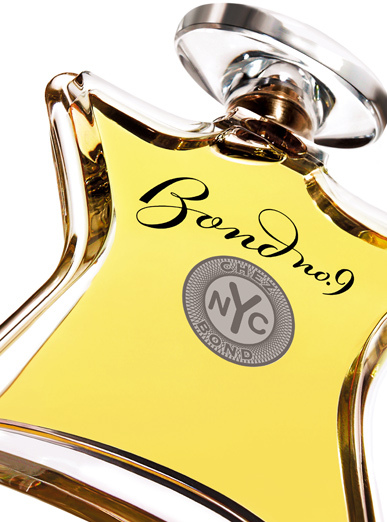 Chez Bond by Bond No. 9 is more of the same. 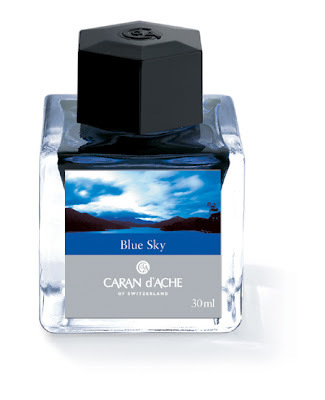 It smells like a generic men's scent, with a synthetic tea-and-freshness opening and a nondescript, literally indescribable middle that eventually boils down to, it can't be denied, a very attractive base of indistinct woods, all warmth and cozy masculinity. But $160 for this? You can find something as good — which is to say, as average — in any department store for a third of that price. Unisex clothing is essentially men's clothing that women wear: think jeans, T-shirts, baseball caps. Therefore, it's as unimaginative as men's clothing, because it can't have any element that men might object to, so it's made from the same limited batch of materials. And once again, the same nearly always goes for unisex fragrances. Little Italy is one: a citrus cologne, cheery and vivacious, but just a citrus cologne for all that. It has hardly any lasting power (as we expect from the citruses), but it's charming while it lasts, and while it's nothing exceptional, it's nicely done. But holy cow, $175? Seriously? Buy a bottle of orange essential oil for $6 and trickle a few drops on your skin for pretty much the same effect. 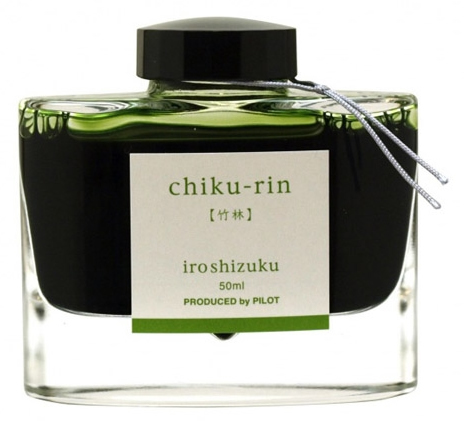 First I ended up subscribing to what amounts to an ink-of-the-month club at Goulet Pens: ten bucks gets you five curated 2-mL samples, and my first batch contained one ink I'll probably never use (magenta), two I never would have thought to buy but will enjoy trying (shades of green), and two more that it will be fun to play with (a bright blue and a weird sepia black). 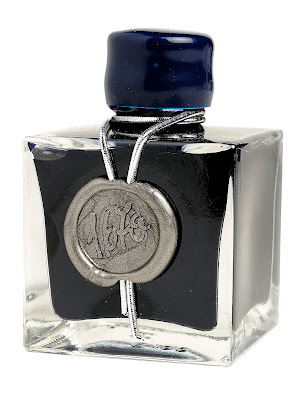 And then, well, I won't bore you with the details except to tell you that that bottle of ink up there, a limited edition called Bleu Ocean by J. Herbin (I already have six of their regular cartridge inks because I do not waste any time), is in the post and on its way to me. 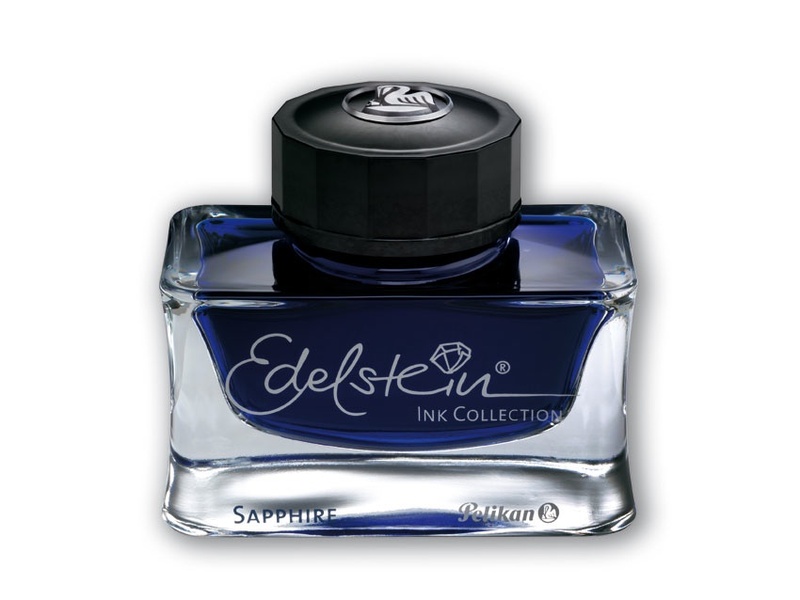 It went on sale at Goulet Pens on Thursday at 2 p.m. my time, and within twenty-four minutes, every bottle that Goulet had was spoken for. And one of them has my name on it, and soon it shall be mine! is the JAR of the ink world at $35 a pop, and like niche scents they are all packaged in particularly beautiful (in fact jewel-like) bottles with gorgeous packaging. And that was where I had my revelation: ink people and fragrance people are exactly the same. Exactly the same. They discuss the tiny differences between this one and that one, and collect many subtle variations of the same thing. They stock up when something might be going out of production. They admire or disdain the bottles and boxes. They collect and treasure their little bottles of liquids. They buy, make, and swap samples. They complain about the price. They trade tips about methods of storing the bottles and the unwieldy little sample vials that multiply like rabbits. They worry about reformulation and the possibility of spoilage and spillage. They obsess. In other words, ink people are my people. I don't know why I didn't realize it sooner. 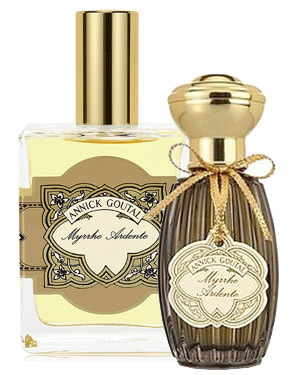 I love reasonably sweet scents, I love myrrh, and I love the contrast between bitter and sweet (as in Lutens' yummy Douce Amere), but Myrrhe Ardente has a touch of that bitterness we expect and a whole lot of sweet, with a strange artificiality to it that resembles waxed paper or coated cardstock. 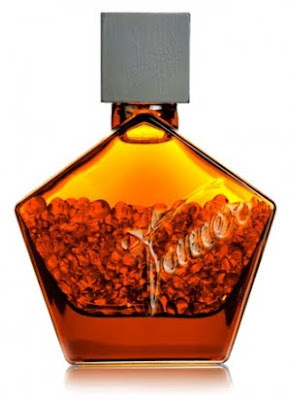 It is incredibly single-minded, really no development, just that hint of myrrh drowned in buckets of olfactory sucrose. It's more than just cloying: it's overwhelming. Wearing it for a quarter hour is like eating a package of Marshmallow Peeps, box, plastic wrapper and all. Wearing it for longer is like eating an entire case of them. (I think those tiny glass stones are meant to make up the difference between the 30-mL contents and the 50-mL bottle). (though that last is of course irrelevant). 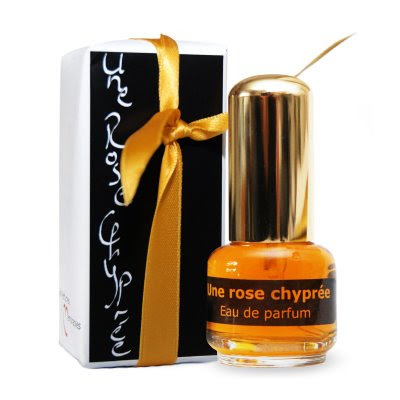 All I could smell was murky patchouli and roses, that murkiness that you sometimes find in natural perfumery (which could use a few synthetics to brighten and separate the other ingredients), and there are probably enough patchouli-and-rose scents on Earth already, I think. Some scents reveal unexpected facets of themselves when you smell just a tiny bit of them, and I guess that's true of this one, but in the wrong way: it seemed constricted and muddy, and I stupidly thought that was all there to it. I thought I didn't like it, but finally I just sloshed some on, and oh my god, it opens up into this big luscious chypre, the kind they don't make any more: bright citrus top with a bitter-orange marmalade undertone, an armload of roses with patchouli leaves and vetiver tucked in for interest, oakmoss (real oakmoss!) swirling around the whole thing, and finally powdery vanilla in the base. It is consistently interesting and beautiful from start to finish, but the only way to find that out is to be generous with it. Don't just put on a tiny dab: you'll never experience its beauty unless you lavish it on.